South Park: The Stick of Truth “Giggling Donkey” gameplay video and new release date information. 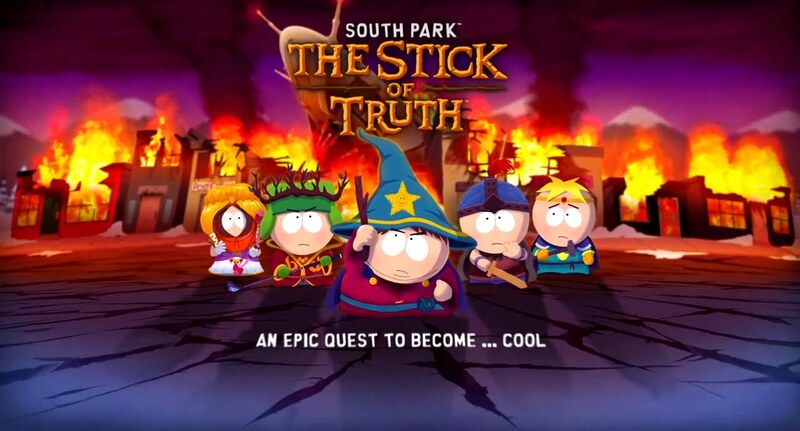 Here it finally is folks, the moment we’ve all been waiting for, developers at Obsidian Entertainment finally release the long and highly anticipated RPG South Park: The Stick of Truth….gameplay video. Oh, were you expecting the actual game? No. That’s been delayed. Again. Originally scheduled to be released earlier this year in March for PC, PS3, and Xbox 360, the release date for the game based on the American animated television series South Park was pushed back to December 10, 2013. Unfortunately, yesterday the developers, once again, announced further delays in its debut and the game is now slated to be released March 4, 2014 in North America (March 6, 2014 in Europe). Despite the fact that these delays are indeed discouraging for many gamers and South Park enthusiasts, fans have pointed out that they are a result of the developers and writers doing all that they possibly can to improve aspects and features of the game that will ultimately enhance its overall experience; in the end, it is not the quantity of time it took to release a game, but the quality of gameplay those months and years of production amount to (Team Fortress 2 took nearly 9 years to develop). On the contrary, skeptics have chided that these hopes may be premature as the foundations of hype the game has built itself upon will be the source of its collapse as they rupture under the weight of the unattainable high expectations fans have conceived. I can’t believe they delayed release again! The game looks amazing, I watch South Park religiously. I can’t wait any longer!! !